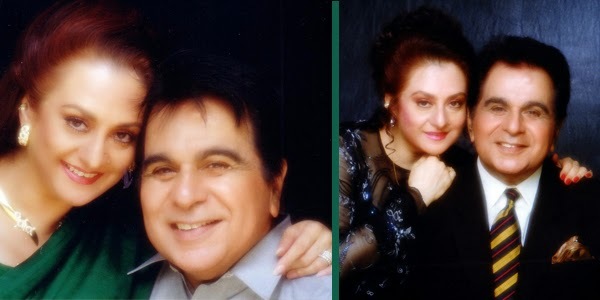 Dilip Kumar, the legendary thespian’s much delayed autobiography called SUBSTANCE AND SHADOW is finally complete and will be released on June 9, 2014 at Mumbai’s posh five star Grand Hyatt Hotel according to its author veteran journalist Uday Tara Nayar. The list of dignitaries is quite long. It ranges from Lata Mangeshkar, Hema Malini, Madhuri Dixit, Tina and Anil Ambani, Kamal Haasan, Priyanka Chopra, Parineeti Chopra, Vidya Balan and his old friend Dharmendra and Vyjayanthimala, both of whom will share their sweet memories with the legend. According to reports the film industry has left no stone unturned to honor the grand old man of Indian Cinema who is regarded as a God of Acting. Hence a number of programmes are lined up to make the event spectacular and grand. The programme will commence with Nightingale of Indian Cinema, Lata Mangeshkar lightening traditional inaugural lamp and singing a song dedicated to Dilip Kumar. This will be followed by Star of Millennium, Amitabh Bachchan and Mr. Perfectionist, Aamir Khan officially unveiling the autobiography. Among the other interesting programmes lined up includes recitation of a paragraph from the autobiography by Amitabh Bachchan, A poem exclusively written by eminent poem Prasoon Joshi in praise of Dilip Sahab being read by Aamir Khan, a medley of Dilip Kumar's evergreen hit songs composed by Lalit Pandit and performed by Javed Ali and Shaan. The other highlight of the event is an audio visual-3D video that traces the thespian’s entire journey with clips from his super hit movies beginning from his debut film JWAR BHATA to classics like MADHUMATI, SHAHEED, DEVDAS, ANDAZ, MUGHAL-E-AZAM, RAM AUR SHYAM, SHAKTI, KARMA, SAUDAGAR To his last film QUILA released in 1998 in which he was paired opposite Rekha for the first time!